I have often revealed my love for L'Oreal skin care products. Generally they are very moisturizing and I love that. 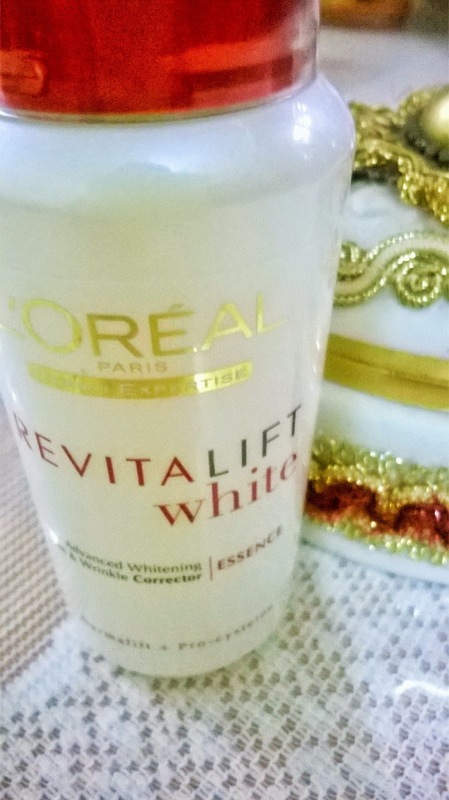 Today I will be reviewing the L'Oreal Revitalift White Essence. 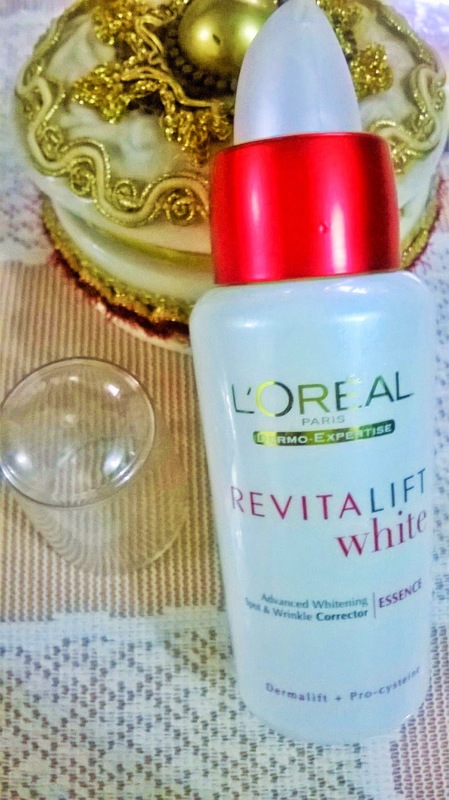 L'Oreal Revitalift White Essence is a complete solution that provides your skin with Fairness and anti-ageing. A unique combination of Anti aging actives work Deep inside The skin to reduce fine lines and wrinkles.Advanced Melano-Block™ 6 times more vitamin C: Both complement each other to regulate the production of melanin for a visible reduction of dark spots. 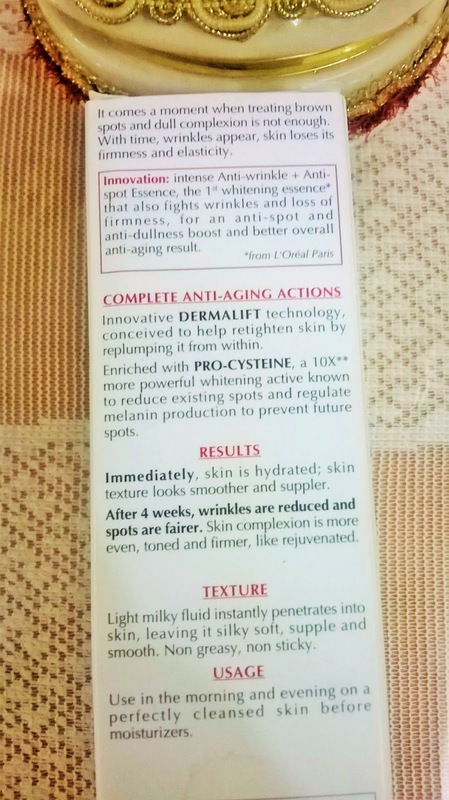 Packaging: L'Oreal Revitalift White Essence comes in a white & red cardboard box. The bottle is a white coloured bottle with a transparent cap. The narrow moth of the pump is very convenient. 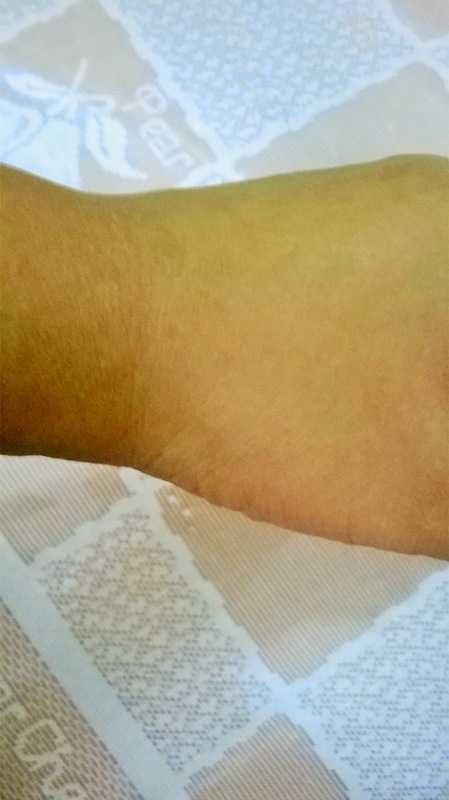 Product: It is a white coloured gel that is very soft. 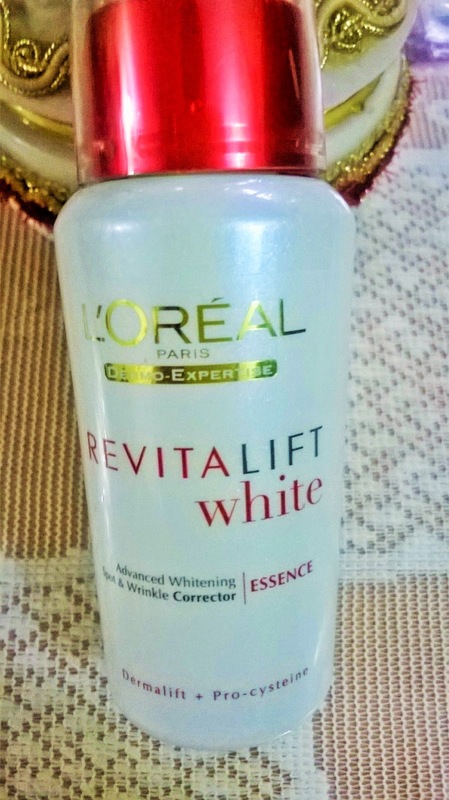 My Experience: L'Oreal Revitalift White Essence is meant for corrective purposes for women with mature and uneven skin tone. 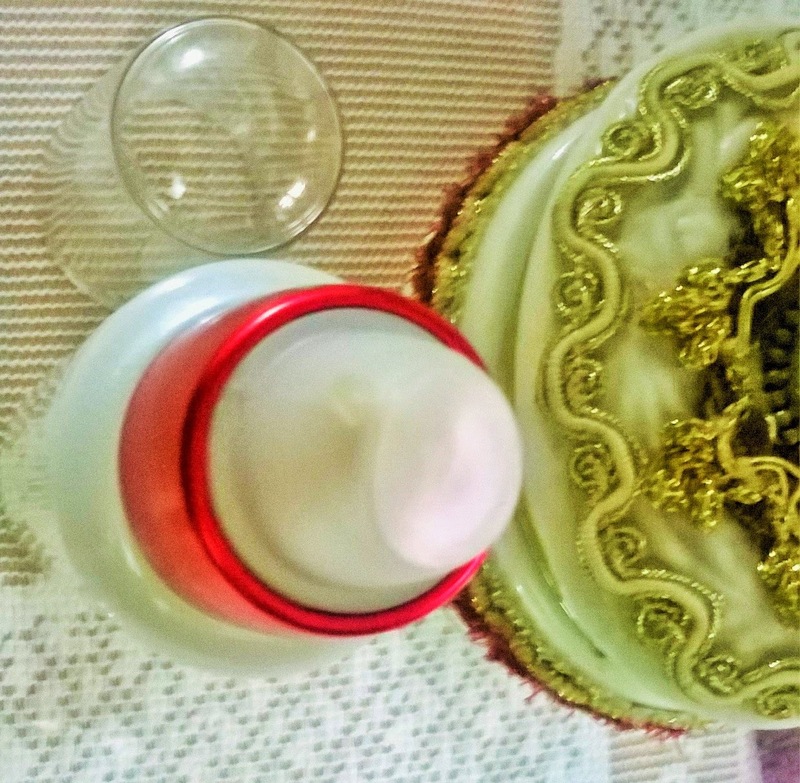 I had purchased the product for my mother, but she did not want to add an extra step to her cleansing and moisturizing routine, so I started using it. I actually take a very small quantity of the product as the pump is very convenient and allows only a little amount. 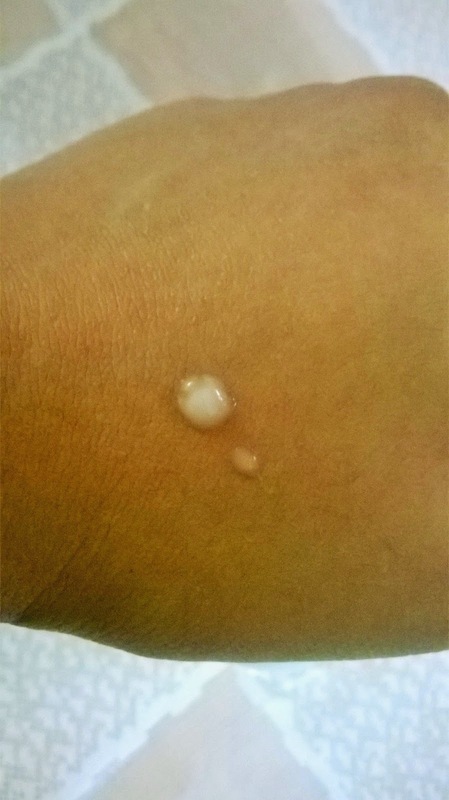 It spreads very evenly on the skin and gets absorbed quite quickly. As with any other L'Oreal products this is also very hydrating and leaves the skin soft and supple. It also provides an immediate toning of the skin and a subtle glow. Although I do not use it on a daily basis and only during my weekly face cleanup days, I can say it somewhat gives the kind of glow that you get from a good facial. 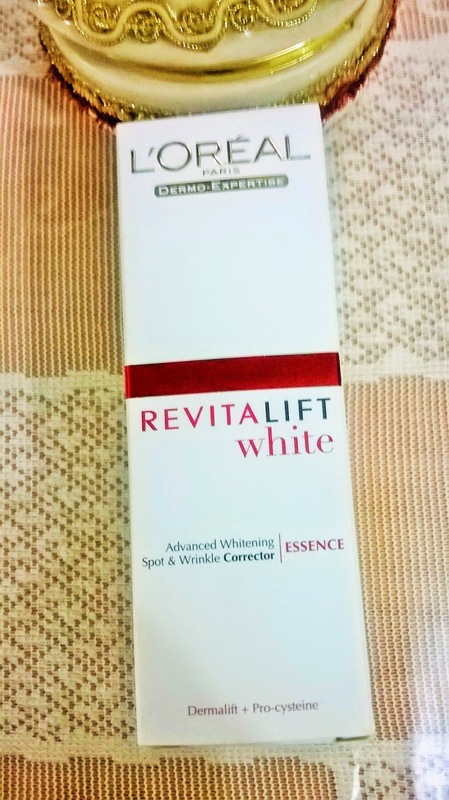 As I do not have fine lines and wrinkles I would not be able to say how it works on those, but since I have lost some weight my face had lost firmness and L'Oreal Revitalift White Essence actually improves the firmness of the skin to a considerable amount. The inclusion of Vitamin C is definitely a plus for me, as my skin loves Vitamin C and so the glow is quite evident. My broad forehead gets mostly affected by harsh sunrays. But this essence actually can regulate the tanning very effectively. Overall I am quite satisfied with the product. 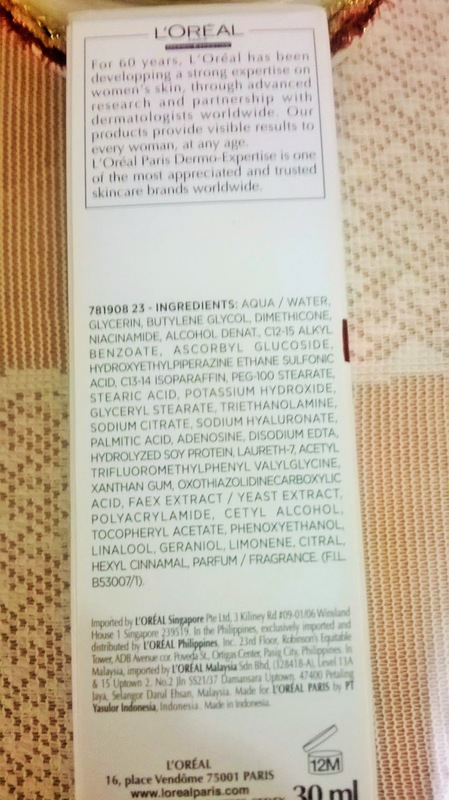 I am satisfied with the product, but don't think I will repurchase it considering the price and the fact that it does not work very efficiently on dark spots. But if you have mature skin and are looking for something that can enhance the glow to your complexion, this is a definite recommendation.